It starts growing in the outer edges of the leaf, but with time it completely covers it preventing photosynthesis and effectively killing the plant of not removed. If not controlled this algae can spread through an entire tank with devastating consquences. Spores for this algae normally enter the aquarium with the addition of new fish and plants. But the reasons why it blooms and spreads is mainly due to a lack or fluctuating amount of co2 in the aquarium. Or an inefficient distribution due to a lack of flow. This algae is such a nuisance that primary means of fighting it should always be not getting it in the first place. So always make sure that your tank has a good and steady supply of co2 throughout the lighting period. Making sure that there's a good flow is also important, 10x turn over is ideal, this can be achieved through filtration or additional power heads. When planning how much you’ll need please take into account that once the plants are fully grown they will themselves act as a barrier and slow down flow. 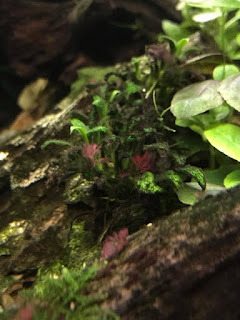 It is often the case of aquariums that have no issues while growing, only to have patches of BBA popping out in the dead spots created once the plants are fully grown. Keeping up with cleaning and maintenance of the tank also helps preventing problems. But once you have it there are a few things you can do to get rid of it. Step one is to cut down the light. 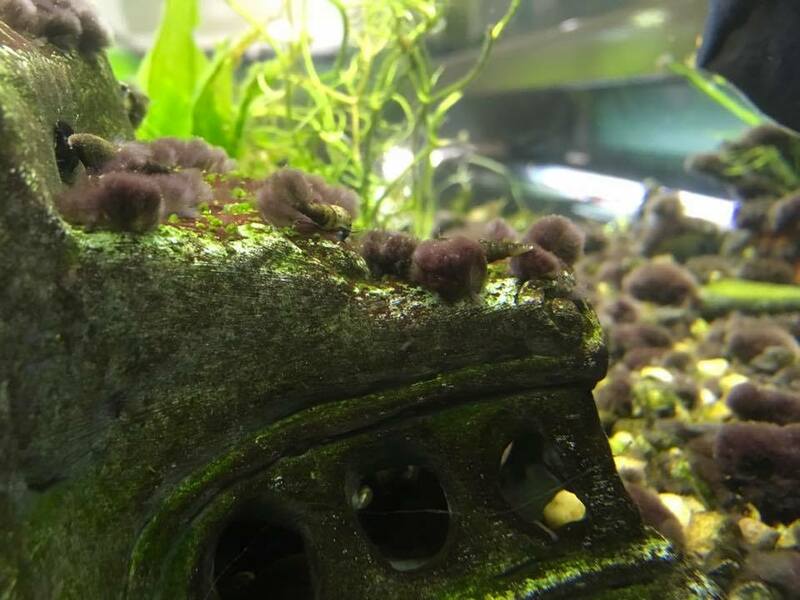 When I did my research for this post I found that it's not widely recommended for black beard algae in forums,blogs and websites. I suppose that is due to the fact that this algae also grows quite well in low-tech environments. However I believe that this is mostly due to a lack of co2. I recommend cutting down the light mostly because BBA spreads extremely fast hence by doing it we can reduce its growth rate gaining time to address the root cause of the problem. Step two is to increase co2. As mentioned earlier these algae problems are mostly co2 related, so by increasing the co2 slowly but steadily we can actually stop it from growing. Use a drop checker and pay close attention to the behaviour of your fish to avoid overdosing. Step three is to increase the flow. All that co2 won't make a difference if it doesn't get to the plants. Take a look at your tank and identify dead spots, you’ll most likely notice they are located in the areas that have BBA. After that just add some flow using either power heads, upgrading filtration or just by playing around with the positioning of the pipes. Eliminating flow breaking barriers inside the aquarium can also help, these can present themselves in the form of hardscape or overgrown patches of plants. Step four is to manual remove it. BBA is extremely resilient, it attaches to everything and it's very hard if not impossible to remove it manually. To remove it from plants, the best solution it to cut down the affected leaves, this will completely remove the problem from the aquarium and prevent its spread. From equipment however you can try and brush it off. I am very wary of suggesting this though due to past experiences. With hard work and patience you may be able to brush this off from hardscape and equipment, however I found through experience that brushing it off may in some cases actually help it spread faster. When removing it this way it tends to break down into small patches that float away if missed, and some of it always do, end falling on other plants. This causes it to spread with devastating speed, specially on carpets. So do this on own risk. I suggest for equipment and hardscape skip step four and go straight to step five. Step five is treating it with Hydrogen peroxide or liquid carbon (gutherhaldehyde). Both of these are known to be very effective at killing BBA. So if you followed steps one, two, three and managed to stop it from growing, spot treating the affected areas will kill it. To do this shut down your filters and if using peroxide remove your shrimp as it will kill them. Then carry out small spot treatments using a syringe. Some plants may get slightly damaged but as long as you don't overdo it, they will recover. You’ll start noticing the algae change colour almost immediately, first red, then grey and finally white. At this point it's dead and will subsequently fall off on its own and desintegraste. This may take more than one treatment though. After the treatment always do a 50% water change. Keep doing this every other day until it's completely gone. Step six is to add some Siamese algae eaters to the tank. 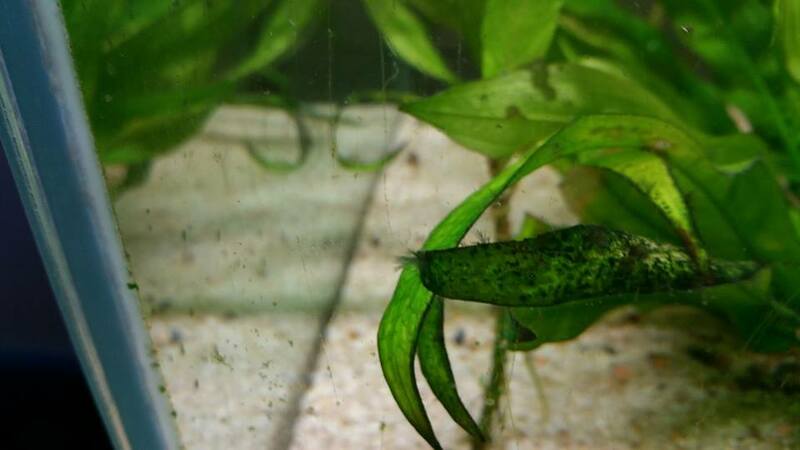 Like I explained in my how to fight algae post I don't believe in using fish to fix algae problems, however I do believe in using as a preventive measure. SAE's are the most effective algae eater for Black beard. Just make sure you are getting the real Siamese algae eater and not the Siamese flying fox as they look very similar and are commonly mistaken. Problem is the flying fox tends to be more aggressive and lose interest in eating algae pretty fast. If all of this fails as a last resort you can do a treatment with bleach. "DO NOT USE BLEACH ON YOUR AQUARIUM"
Fill in a container with 19 parts water and 1 part bleach. And dip your plants in this solution. Do not dip them more than 30 seconds. After that insert the plants in a container with water and a large dose of dechlorinator. Something like 3 times the recommended dose. Non porous hardscape can also be treated like this. Be aware that this may not be recommended for wood as it will soak the bleach. Leave the plants, hardscape and equipment in the de-chlorinated solution for a couple of hours and then rinse thoroughly in running water until no smell of the bleach can be noticed. 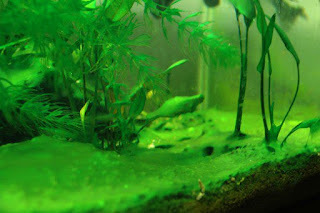 This method tends to be very effective, the algae soon changes colour and disintegrates. However bleaching should only be used as a last resort. Black beard algae is a type of algae that none of us want to see in your aquariums, I do not claim to be an expert, but i hope these tips may help whoever finds himself fighting it.